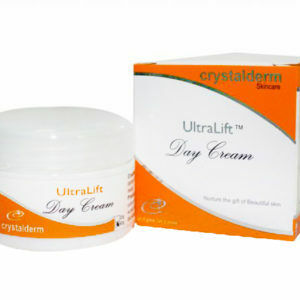 UltraLift Day Cream helps prevent and protect skin from sun damage that may cause premature wrinkles, skin discoloration and blemishes. 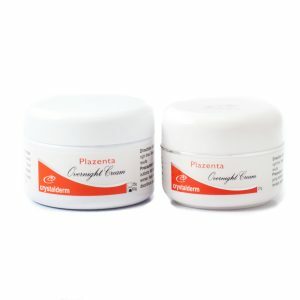 This water-based cream is well recommended for hypersensitive and dry skin. 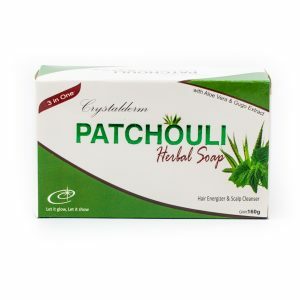 It is easily absorbed by the skin which makes it more effective in keeping it moisturized and protected. Enhancing our natural beauty is an appreciation of ourselves. 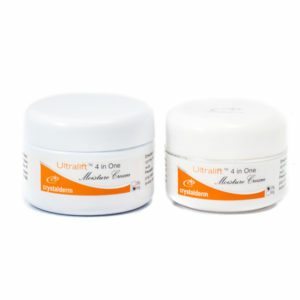 Crystalderm 4 in One Cream does wonders in promoting a well-balanced skin care with its conditioning and ultra-moisturizing properties. 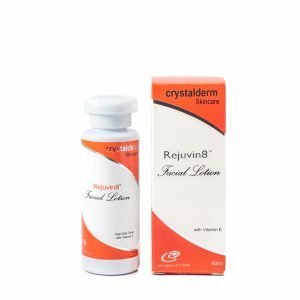 Not only does it prevent disruption in the skin’s natural renewal process but also protect it from the imbalances caused by external factors. 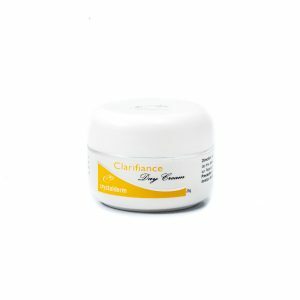 This rich cream supports the natural skin regeneration process as it refines pores, visibly smoothening fine lines and wrinkles, leaving skin soft, whiter and supple. 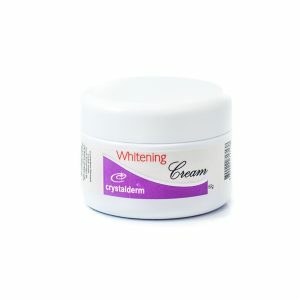 Crystalderm Whitening Cream is an effective cream to whiten and smoothen skin it works fast to promote a lighter and blemish free complexion. 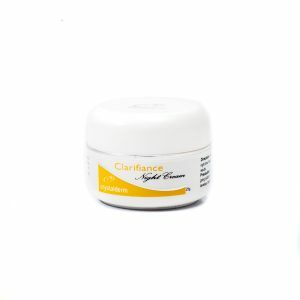 Works overnight for a fast and reliable skin whitening action. 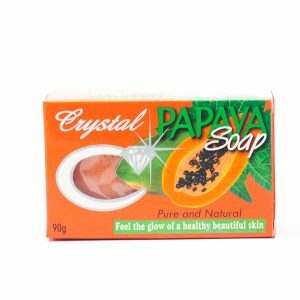 Enjoy a fair and glowing skin with regular use. 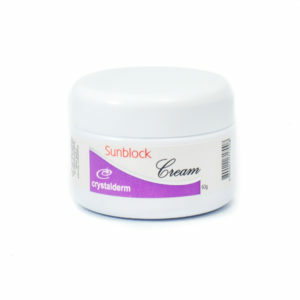 Crystalderm Sunblock with SPF25 protects and moisturizes your skin during daytime. 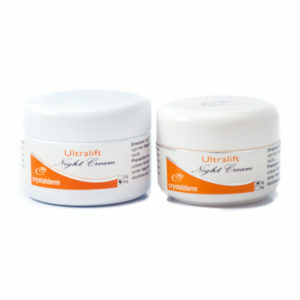 UltraLift Night Cream is the recommended skin moisturizer for hypersensitive and over-dry skin. 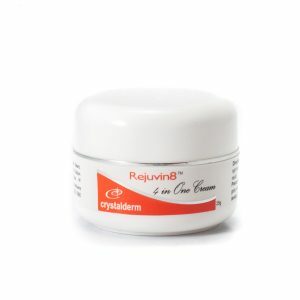 It contains multi-skin vitamins A, C, E & B5 that help keep it nourished, revitalized and healthy looking.